It’s been a work-filled week along with some seriously bipolar temperatures! Wednesday it was 87 here, and Thursday the high was in the low 40’s! Wednesday was also Topher’s BD, so we are going to be heading out to dinner to celebrate, and then onto a bar he has been wanting to try. It’s so weird that our daughter is 21 now and we can take her with us! If you have been following me long, you know that pink is one of my favorite colors. 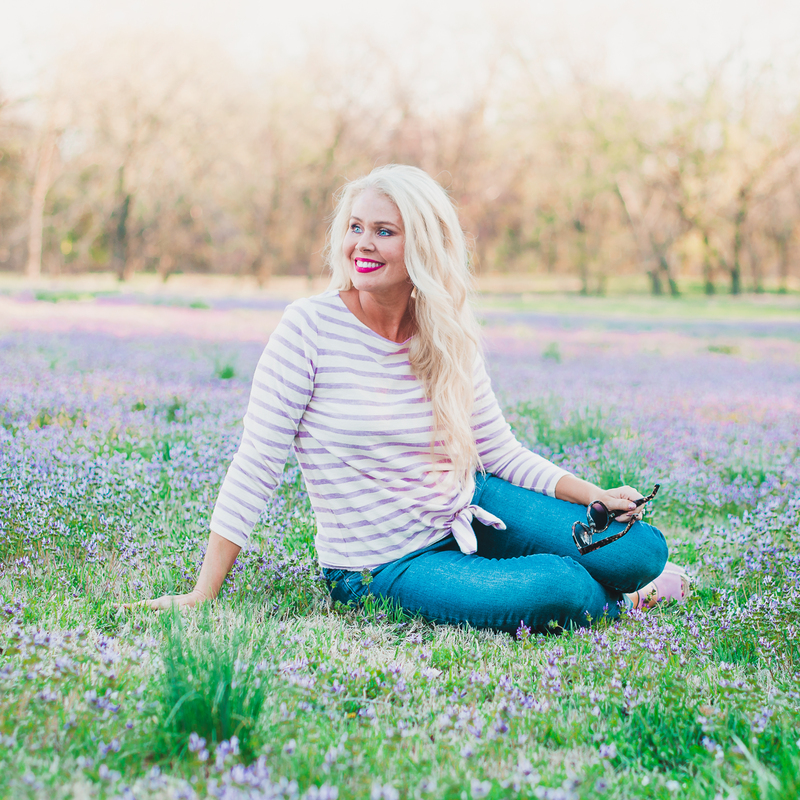 I think that part of the reason Spring is my favorite season is that you start to see pink everywhere! 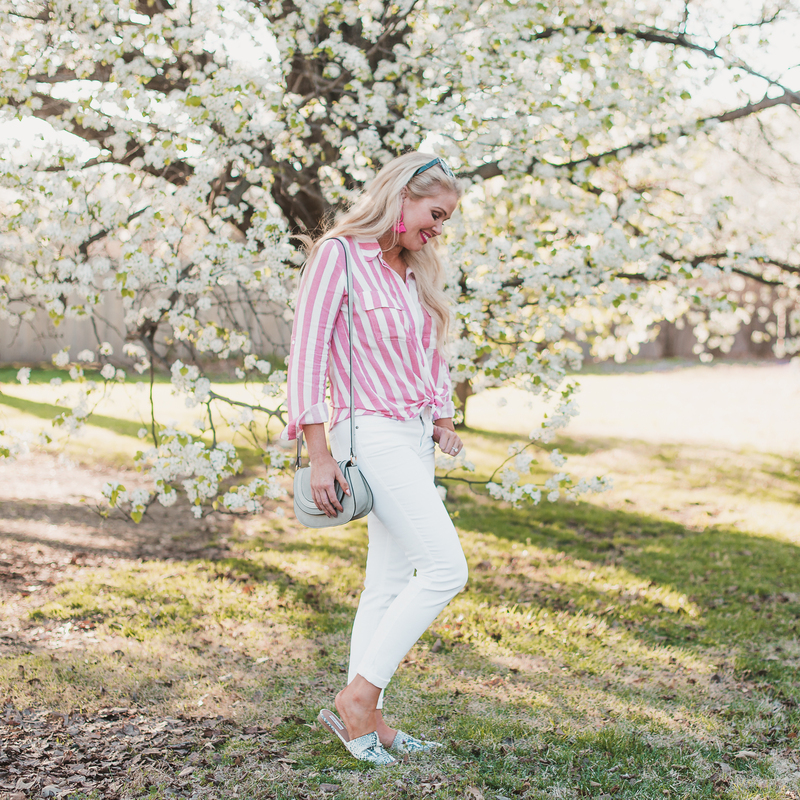 Today I’m sharing some of my favorite new pink looks. If you follow me on Instagram I will be doing a pink try on session with 2 of my other blogging friends so make sure to check out my stories! 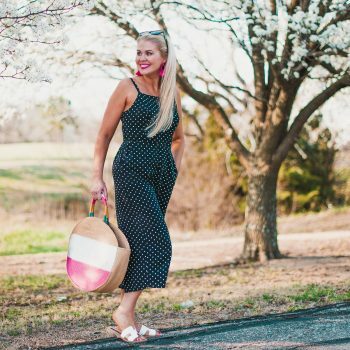 This gorgeous pink off the shoulder dress is one of my favorite spring finds! It is so pretty, runs TTS, flattering on any body type, and under $30! It also comes in blue and would make the perfect Easter dress! 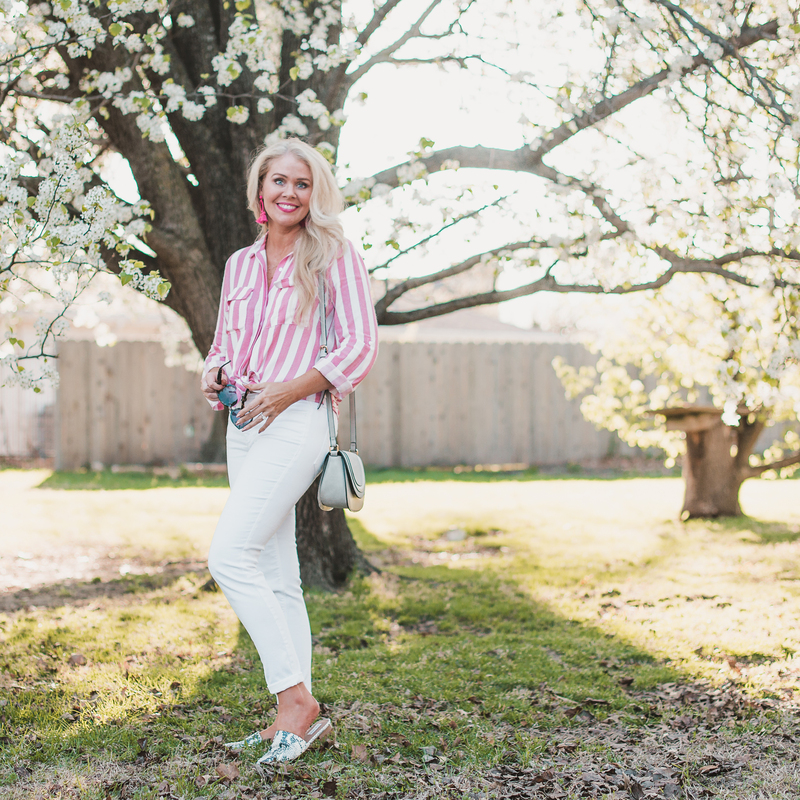 I just got in this pretty pink and white striped blouse and I’m in love! It’s very high quality and looks great dressed up or down. I’m wearing my normal size, small. 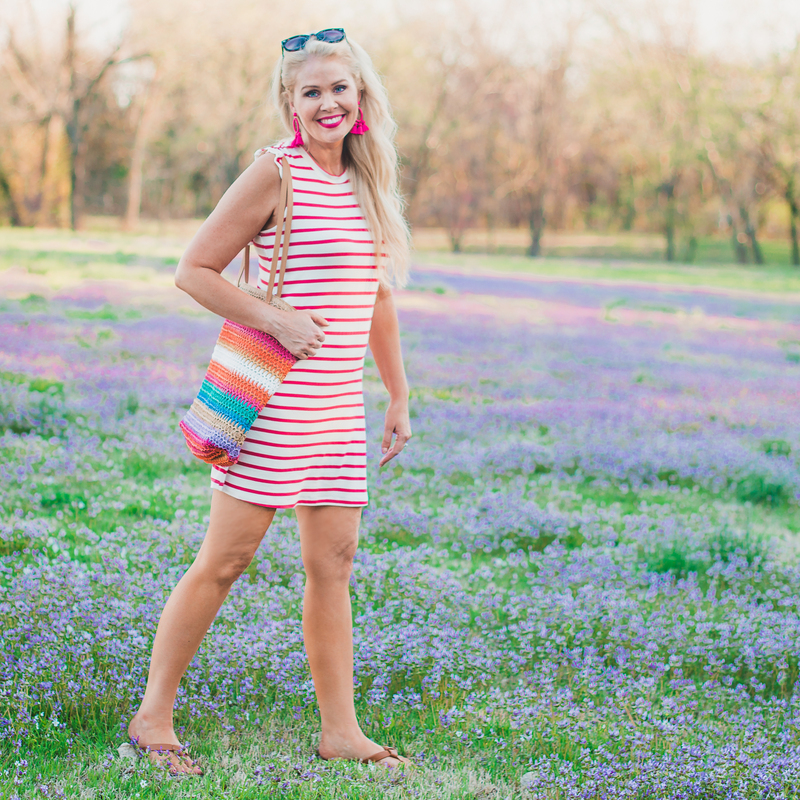 How cute is this striped sundress? It hits at a great length and has cute ruffled details. I’m wearing a small. I am also in love with this darling summer bag. It goes with so many looks and is less than $15! This tie front top is so cute! 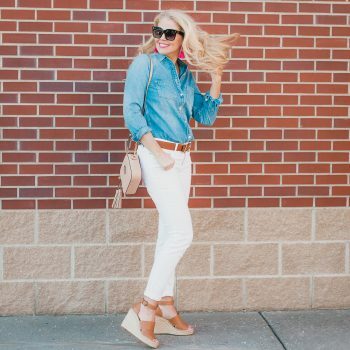 It’s the perfect piece to wear when I’m running errands, and it is only $14! I’m wearing my normal size small. Nordstrom is having Tory Burch sale! As you know Tory Burch items rarely go on sale so when they do you grab them! 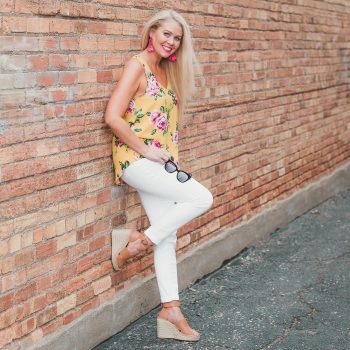 My Miller sandals are my most worn shoes as they are so comfy and versatile! I have been wearing mine for 2 years and they are still in excellent condition. With the sale going I pulled the trigger and ordered these adorable slides. They are a bit of an investment but for the amount of times I wear them they are worth it! 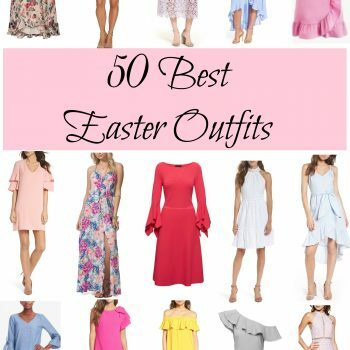 Make sure you tune in next week where I’m sharing my favorite Easter Dresses and jumpsuits!